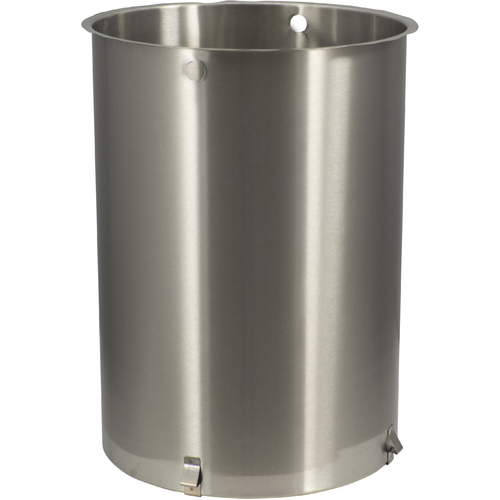 Malt pipe replacement for the 35L Robobrew. To use as a Biab in a kettle. Does this come with the bottom screen and little center pipe? BEST ANSWER: Hi Ryan - This item does not come with the bottom screen and rod. Please email us directly at info@moreflavor.com or give us a call at 1-800-600-0033 for more assistance. What is the height on this piece ? BEST ANSWER: The height of the malt pipe is 15.5 inches. For those who have a Mash and Boil. This can replace that smaller malt pipe. I’ve seen my efficiency go up by 10%. Well worth the money to upgrade.